United States Military Tribunal at Nuremberg - United States v. Alfried Krupp et al. ”Spoliation of private property, then, is forbidden under two aspects; firstly, the individual private owner of property must not be deprived of it; secondly, the economic substance of the belligerently occupied territory must not be taken over by the occupant or put to the service of his war effort – always with the proviso that there are exemptions from this rule which are strictly limited to the needs of the army of occupation insofar as such needs do not exceed the economic strength of the occupied territory. ”The defendants cannot as a legal proposition successfully contend that, since the acts of spoliation of which they are charged were authorised and actively supported by certain German governmental and military agencies or persons, they escape liability for such acts. It is a general principle of criminal law that encouragement and support received from other wrong-doers is not excusable. It is still necessary to stress this point as it is essential to point out that acts forbidden by the laws and customs of warfare cannot become permissible through the use of complicated legal constructions. The defendants are charged with plunder on a large scale. Many of the acts of plunder were committed in a most manifest and direct way, namely, through physical removal of machines and materials. Other acts were committed through changes of corporate property, contractual transfer of property rights, and the like. It is the results that count, and though the results in the latter case were achieved through ‘contracts’ imposed upon others, the illegal results, namely, the deprivation of property, was achieved just as though materials had been physically removed and shipped to Germany”. “The defence of necessity in municipal law is variously termed as ‘necessity’, ‘compulsion’, ‘force and compulsion’, and ‘coercion and compulsory duress’. Usually, it has arisen out of coercion on the part of an individual or a group of individuals rather than that exercised by a government. ‘A crime has not been committed if the defendant was coerced to do the act by irresistible force or by a threat which is connected with a present danger for life and limb of the defendant or his relatives, which danger could not be otherwise eliminated’. “It will be observed that it is essential that the ‘act charged was done to avoid an evil both serious and irreparable,’ and ‘that the remedy was not disproportioned to the evil’. What was the evil which confronted the defendants and what was the remedy that they adopted to avoid it? The evidence leave no doubt on either score.” In the opinion of the Tribunal, in all likelihood the worst fate which would have followed a disobedience of orders to use slave labour would have been, for Krupp, the loss of his plant, and for the other accused the loss of their posts. According to IHL, what constitutes looting? In what circumstances may property of occupied territory be used? Any type of property? Who may use such property? (HR, Arts 23(g), 46(2), 47, 52, 53 and 55; CIHL, Rules 49-52) Do the foregoing IHL provisions prohibit the use of such property by private individuals? Even if those private individuals are authorized by the occupying power? May an occupying power delegate certain of its prerogatives under IHL to private enterprises? Was it proper for the Court to find private individuals guilty of violations of IHL? Particularly if the State not only authorized but actively encouraged such actions? Could the Court have so held if those individuals had not acted in conformity with the policy and ideology of the Nazi regime, but instead under an “occupying power” following a “Manchester liberal approach” of not interfering with private enterprise? Are looting and slave labour imaginable under pure market conditions, without any interference by the occupying power? Did the Court correctly determine that the accused could not invoke the defence of national emergency? Is it correct to say that in no circumstances may a State or an individual derogate from the rules of IHL in a national emergency? Is the pertinent passage in this decision compatible with the theory of the ICJ in the Nuclear Weapons Advisory Opinion [See ICJ, Nuclear Weapons Advisory Opinion], where the ICJ leaves the question open whether “in an extreme circumstance of self-defence, in which the very survival of a State is at stake”, rules of IHL might be violated? 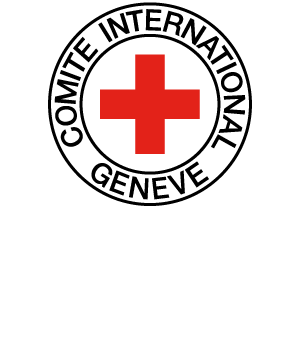 Is the defence of necessity or duress available for an individual accused of grave breaches of IHL? If so, when? Are the defences of national emergency and of necessity to be treated in the same way as far as breaches of IHL are concerned?